One of the most important aspects of racing is knowing exactly what your car is doing at all times. You need to have the most accurate measurements for all the variables that your car is going through to maintain, tune and most importantly to know your car is operating at a safe level. 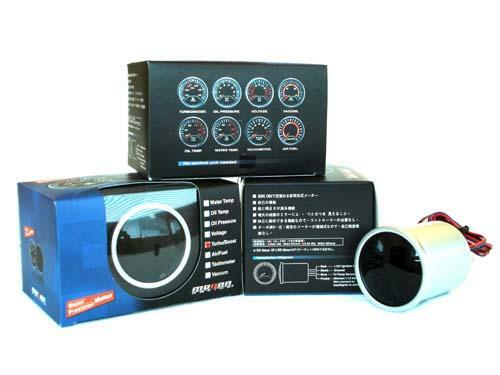 Megan Racing 52mm Gauges offer extremely accurate and easy to read values so that you know exactly what is going on with your engine at all times. Megan Racing 52mm Gauges feature a bright hyper-white backlighting provided by low-heat LED’s and a sleek tinted glare-and-scratch resistant crystal to aid in gauge perception while offering a nice touch to the interior of any car. Another excellent feature is that the gauges weigh only about 3oz each cause unnecessary weight is never something you want to add to a car.